Would you like to be a guest blogger or contributor to this website? Contact me so we can bring your ideas to the table. Are you trying to be Techy and market your product/website to the Gen Y generation? Is your product/website related to the design/tech industry? 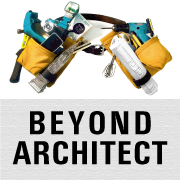 If your answer is yes lets chat about sponsorship here at Beyond Architect.